Why Do Ball Players Struggle With Easier Throws? What’s interesting is that his pitching is fine during the game, but he struggles with warmup toss, bullpens, and the warmup between innings. 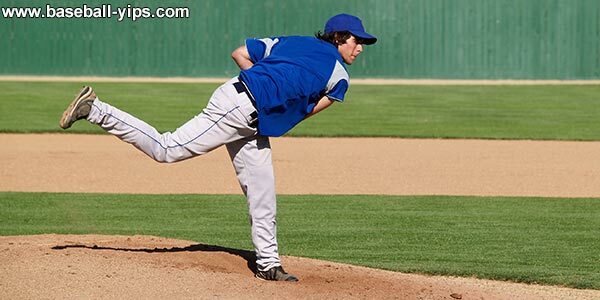 “I don’t have this problem on the mound, but there is a constant fear that it will happen on a mound. Even when throwing bullpens I’m thinking about the ball flying off (even though it hasn’t happened),” Trevor said. “For me, when I first pickup a ball I have the fear. When I try to make my first firm throw playing catch, it’s like my arm doesn’t have any fluidity. I often spike it into the ground glove side and sometimes sail it high arm side. 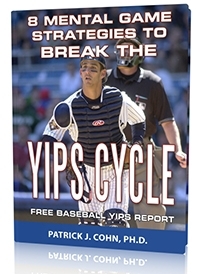 In my warmup pitches between innings I have airmailed the catcher a few times,” he continued. They struggle with the easier throws, such as catchers who have trouble throwing back to the pitcher but can throw down to second with accuracy. I think catchers can throw freely when they rip it. 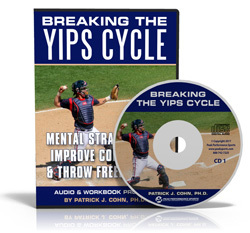 “I’ve literally tried every mental cue I’ve ever heard when it comes to throwing and nothing works. I am aware this is a mental problem. I don’t however know how to attack it mentally,” he said. Why do ball players struggle with the easier throws? My theory is that when you have extra time to think and abbreviate your arm action (in warm ups), that’s when you tend to over think and over control. “Short throws are by far the worst. It’s the pressure and lack of confidence combined. If I can’t throw it as hard as I can like I can off a mound, there is no telling where the ball will go,” Trevor explained. I also think with the easy throws, you’re expected to make those, which adds to the pressure and thus the fear of messing up. He’s on the right track here because he stops trying so hard to make a good throw. Another counter-intuitive argument here. After the initial embarrassment of missing his target, his accuracy returns after a couple throws. Yes, a lot of the fear and thus over control is about avoiding embarrassment. To throw freely, you have to stop worrying about what others will think. Trevor probably realizes that nothing happens after a bad throw… No ridicule from teammates. Keep in mind that you don’t have to be stellar in the warmup. You don’t have to be perfect. It’s somewhat normal to feel a little tight until your find a rhythm. But if you start to overthink your throwing, panic, and worry about what teammates think, a tense warmup can turn into the yips. Contact me with your story about throwing troubles and I will provide some solutions.